One would never expect any good food coming from a hotel coffee house at a 5 star hotel let alone a Boutique Hotel. But this hidden gem is worth exploring. Atmosphere is quiet and peaceful. Good for any business meetings or just to chill and relax. The Ayam Penyet is one of the best I've tasted so far and the Nasi Goreng portion was quite huge. Overall a satisfying meal! What is a good meal without coffee? The grill itself was already interesting. It has dual heating element on top and bottom. Since this was part of a Groupon deal, it came with 3 side orders. We got the kimchi and bayam veggie side orders refilled for 3 times and it was free of charge. Fun Factor and Atmosphere of the restaurant is good. 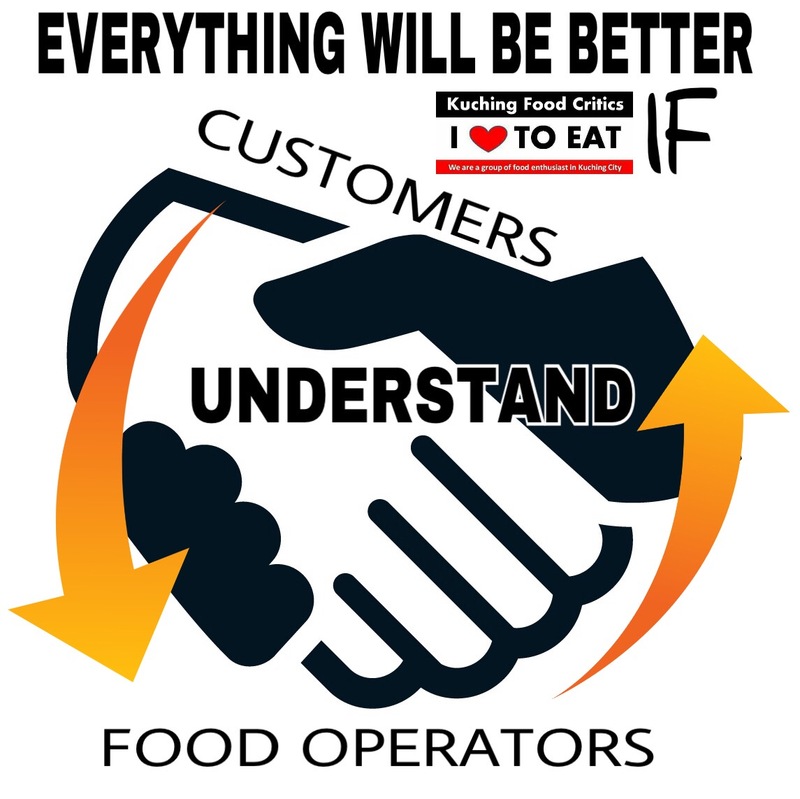 Staff are super friendly and courteous. Definitely will return. The MJC Pasar Tani has sprung many surprises in the past. For this time round, we decided to stop and buy some crabs from this auntie. She managed to pick 3 female crabs loaded with "eggs" and i requested for a big male one. Check out the "eggs". Impressive? *MJC Pasar Tani is available on Thursday and Friday evenings. Located just behind the shops. You will not miss it. Many crabs to choose from. Very good service. Chooses for you, and even helps to get rid of the icky stuff! Oh man! 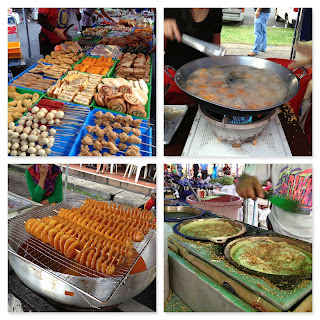 Looks at those "eggs"
Stutong Ramadhan Bazaar next to the MBKS Stutong Market. What I love about Ramadhan month, has got to be the Ramadhan Bazaars. You can get to see, buy, taste and enjoy a wide variety of Malay cuisine and Muslim Food. 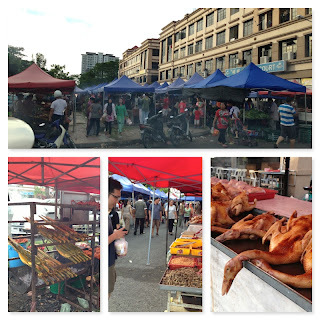 Recently I took a journey to the one next to the MBKS Stutong Market. When I first step into the bazaar, I was surprised to see a huge load of sugarcane husk by this particular Sugar Cane drink seller. Wow! This has got to be alot of Sugarcane drinks sold. (Yes, mind the sakai-ness). Another thing that is fascinating is the wide array of drinks, ranging from solid colours to the rainbow colours. One famous drink called "Sarawak Cendol" is pretty nice. But for me, it was a bit too sweet for my taste. At the Ramadhan Bazaar, you will never fail to be overwhelmed by the smokey but fragrant smell of BBQ fish. You have the popular Terubok, and the sardines and mackerels which tasted superb grilled. A healthy dose of sambal for these Sardines make it a spicy affair. It was less crowded when I went, as most stalls were already sold out. But nevertheless, we managed to get some really nice decent food. Being quite late, crowd wasn't too much. Bombay Masala, had at least 3 stalls throughout the bazaar. Talk about really good marketing technique. They serve a pretty good Nasi Briyani with your choice of Chicken Curry, Lamb Curry or Beef Curry. You can also get Roti Canai freshly made. Nasi Briyani seller. He would hit the "Tong" with the plate to grab attention. Guy in red cap also wanted to post for the camera. One stall that caught my attention was "Kebab Guy". He was swinging and grooving his body while cutting the kebab. 10 point for showmanship "Kebab Guy"! Something that we immediately ate after we left the bazaar was this Roti John. The filling were very generous with alot of sauce. Sauce that oozes out when you take each and every single bite. You know it's good when every bite you take, a little sauce oozes out. Kebab Madu, was another variant of the Kebab, with two flavours to choose from, they stuff the filling into a bun, and you eat it like a burger. Overall tastewise just average for me. Many variants to choose from. So after a good 30 mins of circling the Bazaar, we ended up with enough to fill our tummies with delicious yet wallet friendly food. We had hope to come back and try out the other things that we missed, as well as check out other bazaars in the future. That we shall leave to another episode. 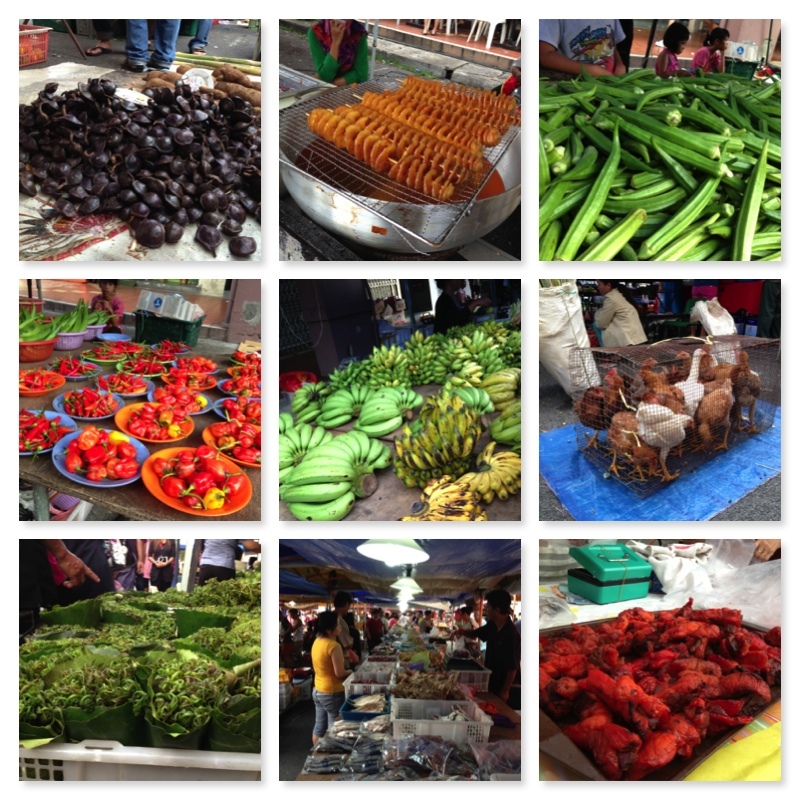 I am of those person who LOVES to browse through markets. It is here that you find all sort of goodies both known and unknown. It gives me this sense of excitement of exploration. In terms of food that are both cooked and uncooked, knick knacks, produces that are both exotic and farmed. 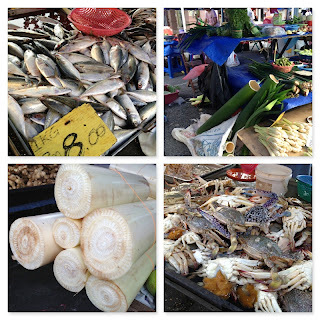 One of my favourite market to visit now would be the Pasar Tani MJC in Batu Kawa. Every week, I go by, there is always this likelihood that I will be surprised by something new that I encounter there. It was also right in this very market, that spurred me to try the infamous Sago worm that can either be an extreme local delight or horror to some. Above shows the usual starting point for myself and the hubs for our exploration for the trip of the week which usually commences on Thursday as this is the first operating day for the market. They are opened every Thursday and Friday but Thursday being the best day as produces both raw and cooked are the freshest on this day for us. Here, right at the beginning you will be greeted by the smokey smell of both seafood and poultry being barbecued. One starts to salivate right at the very beginning of the journey. The hubs already unable to resist has started first purchase for the trip within steps into the market - steamed peanuts. Next on, we saw how ducks were prepared for customers to be purchased where they would use a blowtorch to burn off fine feathers. As we walk along, I am tickled by some of the sights that I see being a city girl you know, so a little bit "sakai" no? Anyway, as I mentioned before, it is right here in such a market that you can find produces of all kinds. You want them raw? You got it. You want them fresh from the jungle? You got it. You want it cooked? You got it. Craving for quirky snacks? Look and walk around, you would most likely bump into it. Just look at the arrays of snacks and colours. Believe me my friend, this is just the tip of the iceberg itself. I must however, take the time to highlight an old timer snack pictured on the top right of the collage above. These were my parents favourite and to this day, they too still love it. I have never discovered the actual name as everyone seems to have their own terms but hey at the end of the day, what does it matter as long as it is good on the palate and satisfies the crave for a good snack eh? Back to the story at hand, my parents call this cucur cerdeh but some also refer to it cucur rodeh. This is definitely by far one of the best in Kuching that I personally have had as the stall owner is superbly generous with the herbs added into it. Deep friend to the perfect crispness by either his children or his wife and sold to you piping hot. Mmm!! Need I say more. Sometimes, even knowing how hot it is, I cant help but pinch a piece only to have my ownself hopping around from the extreme heat I hosted in my mouth but every single burn I experience is worth every crunch of the aromatic cucur in my mouth. However, please dont just take my word for it. Take a day to explore for yourself and experience that little shiver of discovering something new to tickle your palate or even your senses. Then hopefully you would share with me what I have shared with you! Adieu! 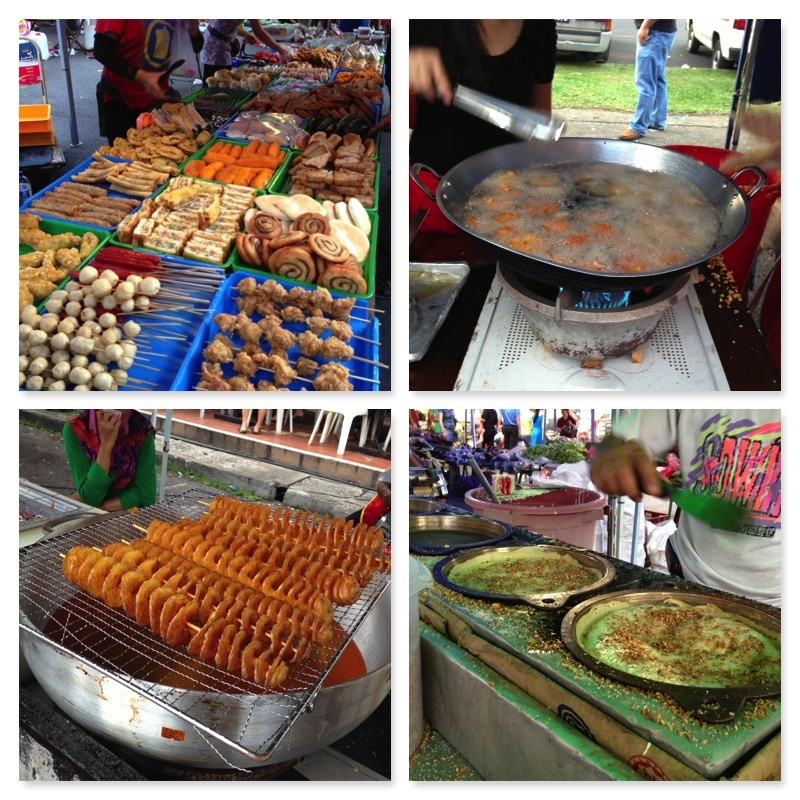 The annual Kuching Food Festival once again is held at the MBKS Jubilee grounds, from 12th July 2013 to 5th August 2013. 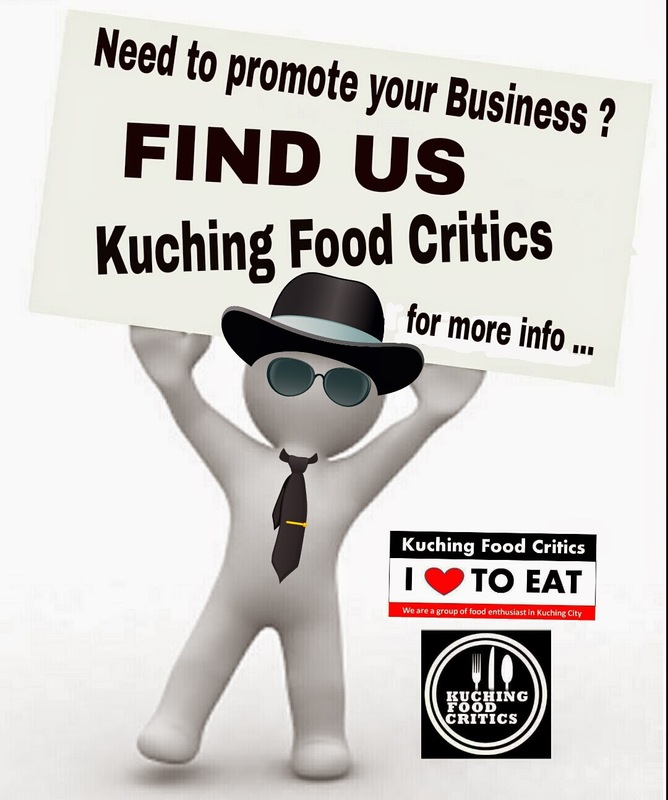 Kuching Food Critics was given a chance to "work" for ACE Grilled Burger on the first day of the event. 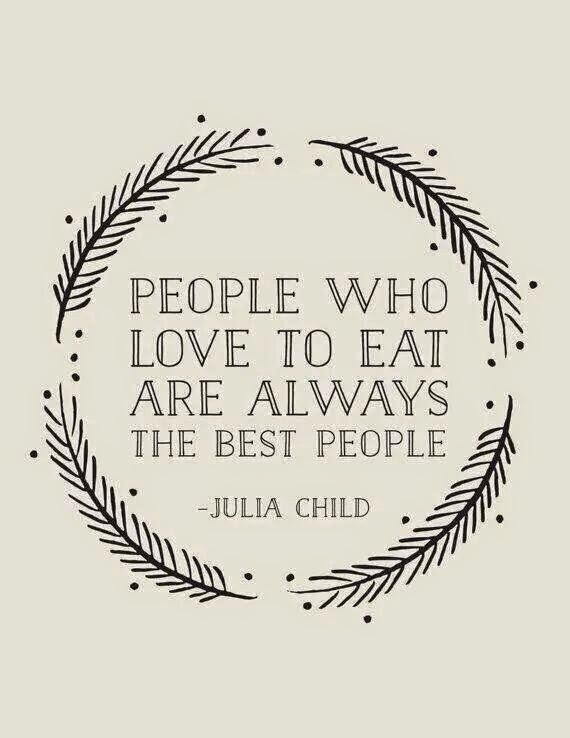 With over 200 stalls, selling a variety of yummylicious food, can we cover all of them? I don't think so. 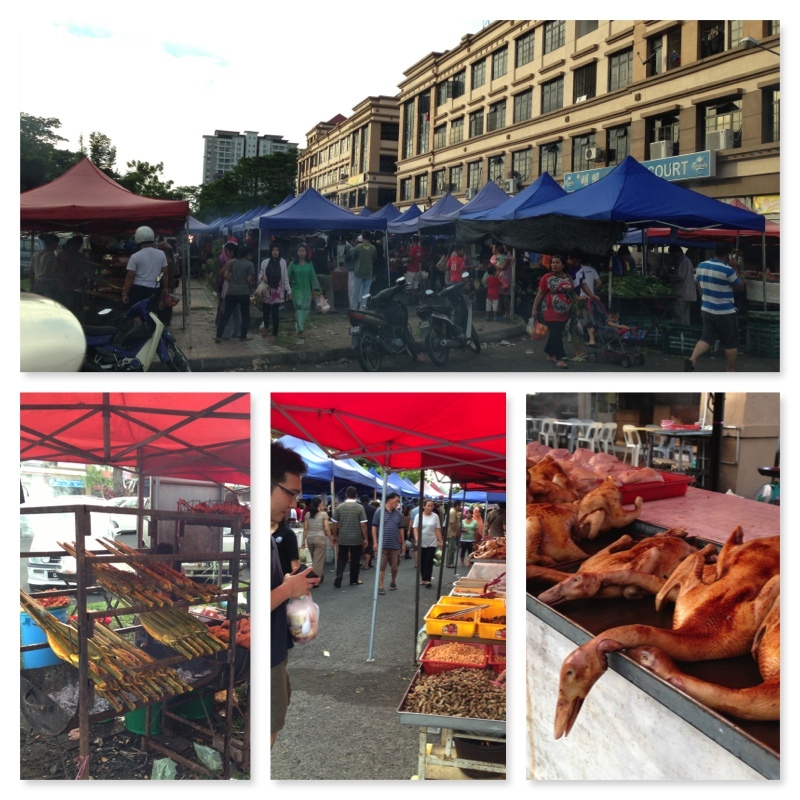 First order of the day was to locate the stall where our Kuching Food Critics admin was. Wasn't too hard to find, it was just about 10 stalls from the main entrance. Looks like he is really concentrating. Better not disturb the concentration. We ordered a Pork burger and a Beef burger. Oklah, looks really busy with that one piece of bun. Proud that ACE Grilled Burger supported the Group with our Group logo on their shirt. Before we tour the site, a useful tip we would like to share is, if you are holding the table while your family goes to buy food, it's wise to put the chairs like this. This means that the chairs are and will be used, and people don't have to ask if the chair is available. Below are some of the many stalls available. Will try to give a brief description about each of them. Naked Fish. Sounds interesting, and posted by members on the group, it does look good. The Mua-Chee stall with various flavours. Teochew Oyster. I think they must have been at least two stalls. Butcher's Deli makes an appearance. On sale are the pork sausages. If not mistaken there are 3 flavours to choose from. Howdy's Grillhouse located quite on the edge. Chubby Baba. Used to be at Sama Jaya Roundabout. Currently they have a stall at tHe Spring Food Court. Some of the Nyonya kuih on display. I've got to say that Gourmet Sausage has quite an impressive stall this year. Love the "Sauce Station" concept. These are nice to eat while strolling and looking for more food. Mongolian Master a unique steamboat restaurant is also there. Squid King. Name is interesting. Dragon Whisker. It's basically a hair thin dough wrapped peanut fillings. Must be eaten fresh or else the dough get pretty hard. Legendary Thai Restaurant by Lok Thian group. The Chicken Feet and Pineapple Rice are my favorite. This looks interesting. Will try it....one day. This is the highly talked about Fried Fresh Milk. The queue was too long for me. New Chef's Delicious has on display it's wedding themed table. After walking around and finally turn to leave, I spot the map to the entire fair. It's a pretty huge fair this year. Kudos to Mayor Dato' James Chan and his crew for improving it year after year. Some of the food we managed to tapau-ed home. Sausage Rolls from the Incredible Hog.